Ever noticed that the best websites are a mix of great design, eye- catching visuals, and relevant content. Visitors should enjoy using your site because it is easy to use, visually interesting, and well organized. They should easily find ways to engage and quickly be able to see your full offering, whether it’s upcoming events, publications and resources, discussions, news and important information on membership, support or legislation, etc. 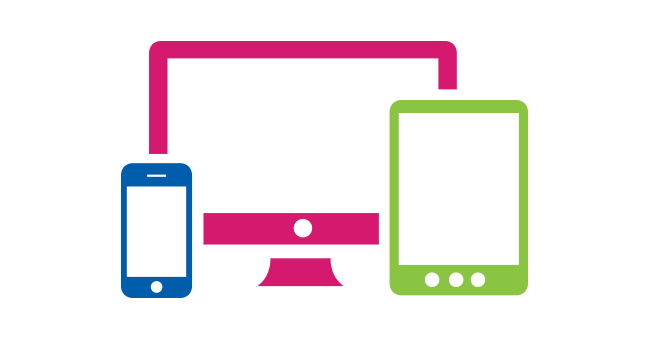 After custom designing your website, we then make it responsive to all devices for both ease of use by your audience and for SEO purposes, since companies like Google, Bing and Yahoo have made it important to have a mobile site when ranking relevant searches. Your customers will also have the same online experience wherever they connect because branding will be consistent on all mobile devices. Working with a team of creative minds to design your website is optimal. A collaboration of minds is the secret sauce. Client input is where it all starts. Then we put the right team together and build the timeline that works for you.